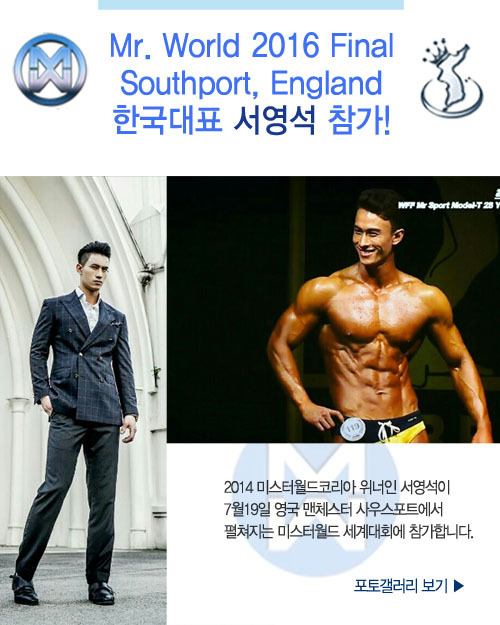 고객센터 > 대회공지 & News > Mr. World 2016 Final Southport, England 한국대표 서영석 참가! HOME > News	> Mr. World 2016 Final Southport, England 한국대표 서영석 참가! [미스월드코리아] Mr. World 2016 Final Southport, England 한국대표 서영석 참가!